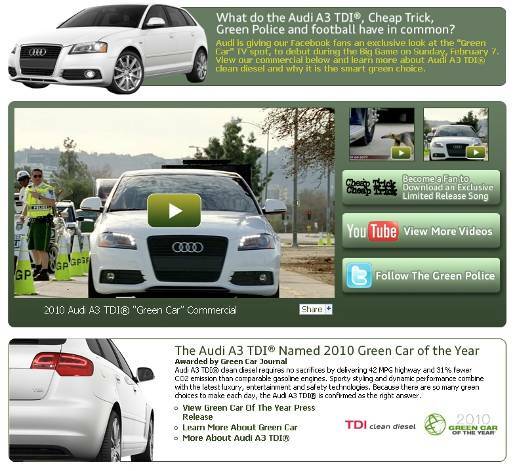 Audi is promoting the A3 TDi clean diesel technology with “Green Police”, a collaborative advertising campaign in collaboration with rock band Cheap Trick. 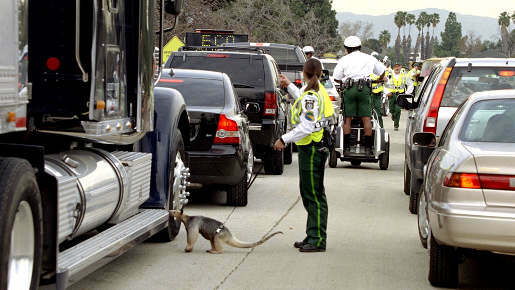 Timed to roll out for the Super Bowl 2010, the campaign adapts the band’s 1979 track, “Dream Police”, to become “Green Police”, the anthem of an environmental watch dog which awards Audi top points for their environmental correctness. The campaign is online at www.greenpolice.com, on the Audi Facebook page, on the Green Police YouTube channel, and the Green Police Twitter channel. Audi Green Police videos offer guidelines that would purportedly save a billion pounds of napkins from landfills each year if we only we would avoid ‘napkin abuse.’ Another PSA urges saving 1,000 pounds of CO2 by unplugging our electronics from power strips – aka ‘Mother Nature haters’ – when not in use. The campaign PR team have had their hands full dealing with the concerns expressed by at least one blogger, Danny Brown, over the similarity of the Green Police name to the German police squad, Ordnungspolizei, known as the Green Order Police, used during World War II to round up Jews, gypsies and Polish residents. Audi explains that the concept was tested with significant Jewish leaders before the launch. They point out there are numerous real Green Police units globally that are furthering green practices and environmental issues. Israel’s main arm of the Ministry of Environmental Protection in the area of enforcement and deterrence is called the Green Police. New York has officers within the state’s Department of Environmental Conservation that are fondly called the “Green Police”. The Green Police is also the popular name for Vietnam’s Environmental Police Department and the UK has a group who dresses in green as part of the Environment Agency’s squad to monitor excessive CO2 emissions. 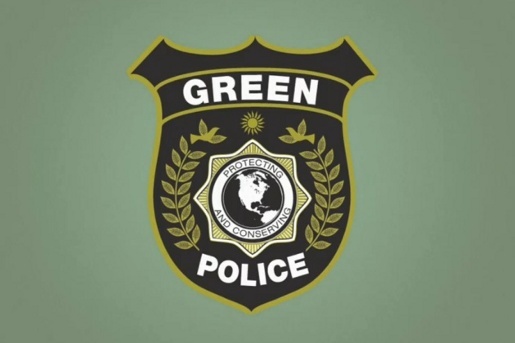 The Green Police campaign is being rolled out by Venables, Bell & Partners, San Francisco. 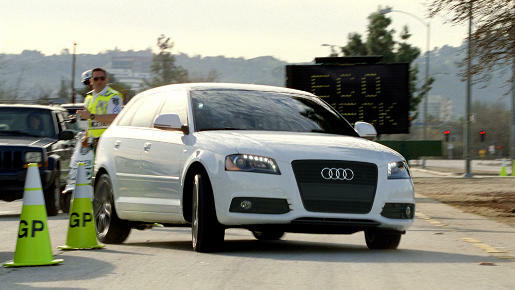 Read more at Audi Green Police, Audi Green Car and Audi A3 Green Police.